Hope this one lasts longer than the previous one! Not quite had the charger a month yet but hoping it lasts more than 3 years this time. I do play 2-3 times a week so may be I am expecting too much but fingers crossed! Great price as always from Golfonline & delivery quick too, so happy with their service as usual. 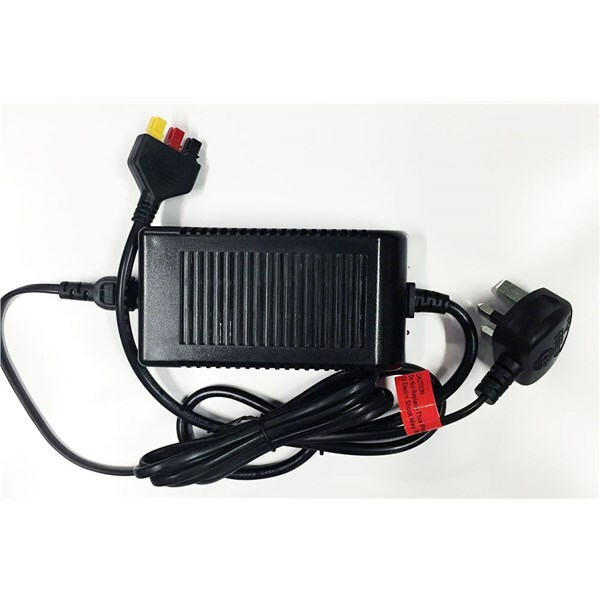 This Powakaddy Battery Charger features the 3 pin Anderson fitting that is compatible with the new FW3, FW5 and FW7 models. It will charge both a Lead Acid or Lithium battery with the same Anderson connection. Supplied with 3 pin plug and instructions. This charger is only compatible with the new FW3, FW5 and FW7 Powakaddy trolleys. It is not compatible with the Freeway II, or any other model of Powakaddy trolley. This is an automatic battery charger and will trickle charge your battery, at a slow rate and will leave it in tip top condition before play.